The Fourth Industrial Revolution: Why Should You Care? The Coventry & Warwickshire Growth Hub have partnered with Warwick Events to host the pinnacle event of the Coventry & Warwickshire Business Festival. Our goal is to introduce local businesses, big and small, to the advantages of technological advancement and dispel the myths surrounding the Fourth Industrial Revolution. Companies who are pioneering in automation, virtual reality, robotics, and other technologies will be present as Exhibitors andCase Studies, alongside those who provide the services to support their endeavours. We want to encourage invitees to talk to you, and therefore to learn from you, and recognise where they could utilise the various technologies to advance in their own sphere. As the digital revolution picks up pace across the globe everything from transportation to communication is affected, with automation creating smarter services and a new way to live life. This event will unravel the complex web of technology trends, partnerships, concerns, and opportunities that businesses need to address to survive and thrive in a digital automated world. PLEASE NOTE: This is an invitation only event and by registering on CWBF2018 you are only registering your interest in this event. 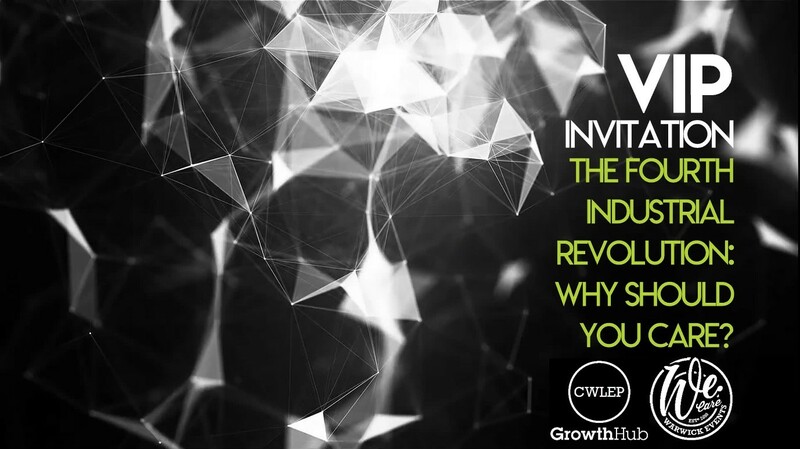 We will forward your details on to the event organiser Jeremy Moore - jeremy.moore@cwgrowthhub.co.uk who will be in contact with you regarding places at this event.